There’s been plenty of noise over the last week about the government’s transport announcement. While most of it has been focused on fuel tax changes, one of the big positives is that for the first time we also saw dedicated funding for the development of Rapid Transit. In some ways it’s surprising the government hasn’t done more around their messaging to highlight the benefit the funding will help deliver, especially because Transport Minister Phil Twyford has been very good personally at articulating transport issues. For example, at the opening of the Manukau Bus Station on Saturday (AT streamed it), he spoke about lack of transport choice creating transport poverty and then how the government’s plans would help deliver a transformation in PT in Auckland. I’ve transcribed that last part. This will be nothing new to those that follow this site regularly but I suspect many in the city, and even fewer across the country, truly understand just what all of this means in reality. Showing how Auckland could have a PT network to be proud of was of course one of the reasons behind our Congestion Free Network. Since our first version of the CFN, Auckland Transport have produced some official ones at various times (although most are out of date). With the government now stepping up, and the plans looking more concrete, now could be the time to show it more publicly. The excellent Transitmaps is currently holding a knockout tournament to determine which of 32 major world cities has the best transit map. Many cities use their metro maps to highlight not just existing services but future ones too, rather than just hiding them in obscure planning documents. 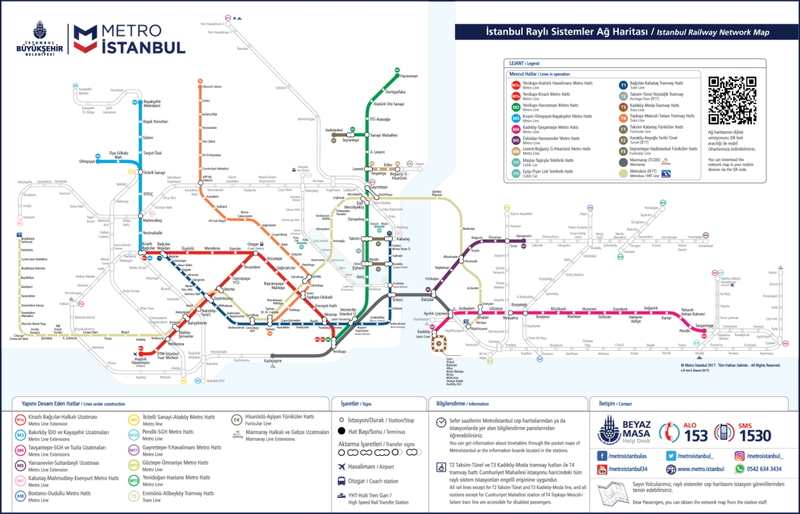 One of the better examples is Istanbul, which shows all their rapid transit modes and includes all future lines. Many of the actual projects are on hold or in various phases of the planning process, which is not too different from where we are now. Some other examples where future lines are shown on the maps include Delhi, Los Angeles, and Singapore but plenty of other cities do too. AT need to develop some versions showing the future lines that will be built to help people understand what the plans are. By versions I mean both a standard metro map that is displayed prominently on the website and at every busway and train station, and a strip map for use inside buses and trains. I think this will not only help the public but may also help AT to define its design language, which currently feels a bit incoherent with different styles in use. It also means they could design the maps now and effectively just colour in the routes as they get built without having to redesign the maps each time. 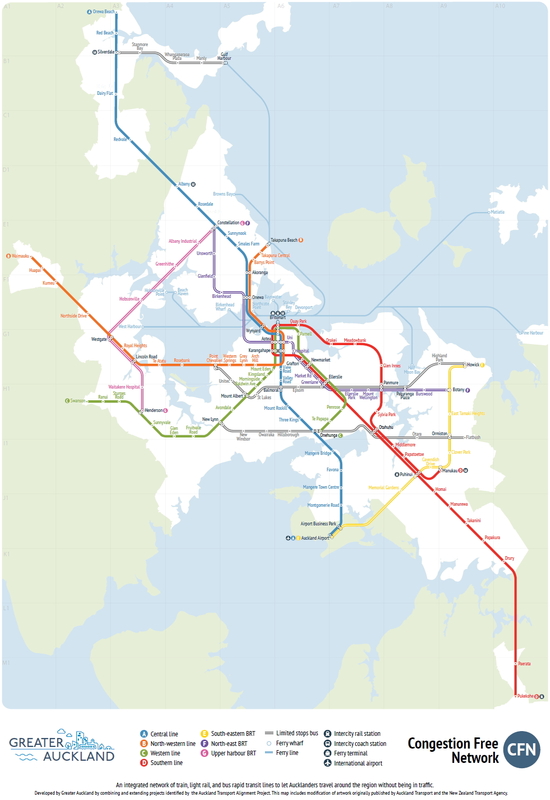 The current strip map in trains shows our rapid transit lines but there’s something about the visual style which doesn’t quite seem right, although it is better than the original version. It will need a complete redesign to incorporate all the new routes being built in the coming years. 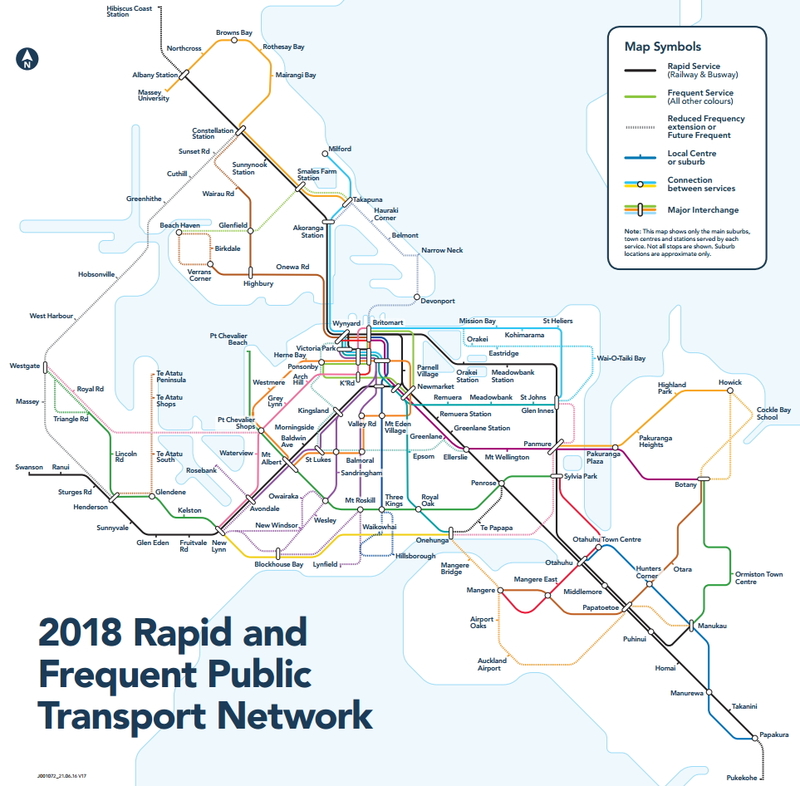 The Auckland Transport Alignment Project (ATAP) decided to call rapid transit the ‘Strategic Public Transport Network’ and produced this map showing where that was. It’s useful in that it shows existing lines vs future lines but it misses the critical component of showing how the services operate. As part of the new bus network being rolled out, AT have this map showing the Rapid and Frequent PT network. It’s a nice map but as I pointed out recently, if you took out all the services that don’t really meet the criteria it looks quite different. It also doesn’t do a great job of highlighting the Rapid Network as the lines are the same thickness as other PT routes and are all the same colour so someone new wouldn’t know the Northern Busway is any different from the rail network. It also seems to make it hard to show the future rapid network. So how about it AT? I have been following this blog for many years now and agree with most of the common sense engineering that you espouse. I wish that our politicians in Sydney could learn from you as well but we are stuck with a bunch of blow the budget on roads Nationals equivalents. Back to the point…The last graphic in this post is blurry. Surely you have a higher definition one. I’m not sure if AT with their great fear of any sort of commitment and the urge to consult removal of a single parking space for months could be forced produce a ‘roadmap’ of their developments. If AT published something like that it would mean that they’re actually in charge and plan to deliver. It feels like at the moment all they plan for is to quietly carry on. The unspoken problem is the gap between the tax, the on-ground reality, and the future. 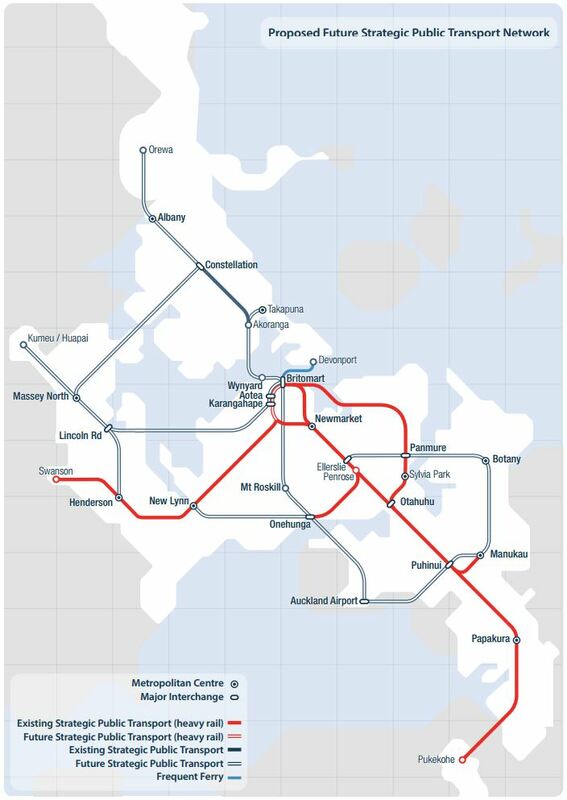 Greater Auckland has the government and the plans that they have always asked for, but as Matt has noted in previous posts, the actual public transport service in Auckland is still pretty miserable after a decade of new trains and several years worth of New Network rollouts. Greater Auckland has also supported the government in its tax plans. But they were poorly communicated at the launch and have not landed well with the public or the MSM. This is unsurprising, but makes it really, really hard to show a credible link between increased tax and service improvement. That after all is a basic premise of a social contract through tax. Greater Auckland has also been pushing the better visuals for AT to use. But no one on the ground is buying the propaganda when the motorways are full, the trains are full, the buses are full, and too many of the cycleways are empty. They are but coloured lines. It’s not time for more future maps. It’s time to remind people that some stuff has been done well in the past decade, and to slowly build up the credibility of AT and NZTA that they really have delivered. At the moment – other than to a converted few – I just see greater and greater public cynicism and despair through central and local government failing to show that this great cost is really worth it. Matt it is to early to be that optimistic. We need some enablers to speed the AT (Alternative Transport) network up. 1) The 3rd & 4th main lines on the Southern and a Port freight link on the Eastern. 2) The regional network connection – at least KiwiRail get some diesel units to run from Hamilton to Papakura and return. We need to speed up freight to and from the Port and Industrial Auckland to enable the public transport rail to work at higher train speeds. The governments big spends are light rail to the airport and electrifying to Pukekohe. There are already plenty of bus (and train) services on these routes and serving Manukau. This isn’t solving a poverty issue. The minister needs to curtail the buzzwords and clearly explain that Dom Rd is at capacity, and the schedule, cost savings and carbon reduction that electrification will bring. This is probably covered elsewhere but it seems to me that the Regional Rapid Rail proposal should link from the southern cities (Hamilton & Tauranga) through the Airport into the city centre. Then we would have a fast heavy rail link integrating the airport into the wider region – and a fast train from the city centre. Light-rail and busways are great for intra-isthmus transport – but travellers entering the country want a fast easy route to the city centre. I won’t catch Singapore’s heavy rail from the airport – it’s just too darn slow … I can’t see how hefting suitcases amongst commuters is really going to work. Except as an excuse to build these other necessary transport options. When you are using the exact outline of the coast line you have to put the stops in much better locations than what you show. Whangaparaoa is a mess and will cause confusion. The blog likes consistency and ease-of-use for first timers, so got it wrong with this one.